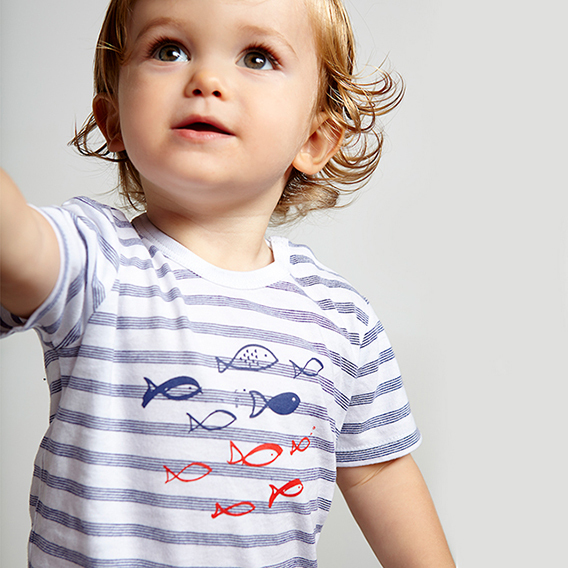 Our lovable Swimming Fish Graphic Tee will tickle your baby's fancy. Fashioned with short sleeves and snap neck closure for easy on and off changes. Designed with the finest 100% Brushed Cotton Jersey knit yarn dye stripe. Inspired by the high seas, your baby will look stylish in his outfit. Mix and match with our Deck short or Crewpant.